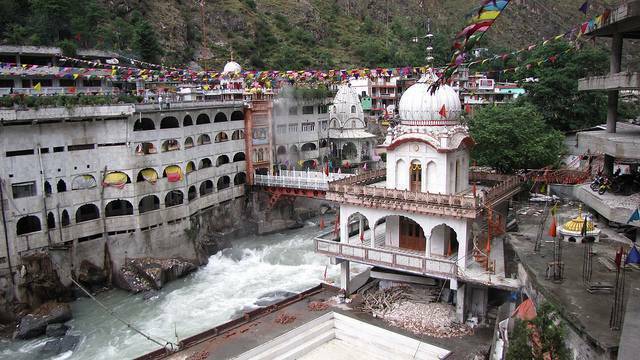 Sandwiched between rivers Beas and Parvati, Manikaran is perched at an altitude of 1760 m above sea level. This small town is an important pilgrim center for Hindus and Sikhs. There are many beliefs about this town is making rounds among the locals. There are numbers of temples dedicated to Lord Vishnu, Lord Shiva, and Goddess Parvati. Tourists can also see a Gurudwar, a religious center for Sikhs. Locals believe that the devtas (Angels) from Kullu valley pay visit to the Manikaran Shiva Temple once in a while. The place is actually very famous for the hot springs. People believe that this hot springs has medicinal values and all sins will be get rid when a dip is taken in the springs.